"YOU CAN GO AS FAR AS YOUR MIND LETS YOU. 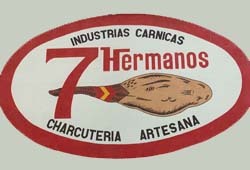 YOU CAN ONLY GO FORWARD WHEN YOU LOOK AHEAD"
Cárnicas 7 Hermanos S.A. was born as a family business dedicated to process fine pork meat products. Nowadays it is a modern entrerprise with more than 50 years experience in the food industry. During all these years we have managed to combine traditional craftsmanship with the latest technology, and a strict quality control in all processes. 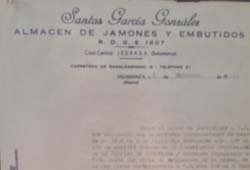 The family businnes was started by Mr. Santos Garcí­a and Mrs. Victoriana Gómez, who founded a modest ham store in Ledrada, a little village in the Bejar region, in 1965. In the early 70’s a new slaughter house and a charcuterie factory with more than 3000 SQM are built in Villamanta (MADRID). 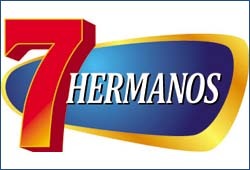 IN 1989, a new factory is opened in Valmojado (TOLEDO), with the most advanced technology and more than 8000 SQM that allow 7 Hermanos to offer the best quality in its products. 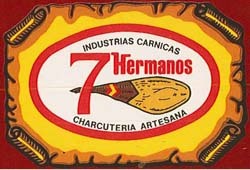 As dry cured products are becoming little by little more important in the enterprise sellings, a new extension is built in the factory of Valmojado in 2002. 5000 SQM of brand new chambers where 7 Hermanos can dry 600.000 Hams per year.